markey committed R181:d98ec3f7a913: Use new kpackage_install_bundled_package macro (authored by malteveerman). markey closed D11170: Use new kpackage_install_bundled_package macro. markey accepted D11170: Use new kpackage_install_bundled_package macro. Ubuntu 18.04 is now released, and your patch builds fine with it. markey committed R181:bce427f2fb54: If BUILD_TESTING was explicitly set to OFF then don't build tests. (authored by markey). If BUILD_TESTING was explicitly set to OFF then don't build tests. markey added a comment to R181:9d0e6bdc5695: Make building unit tests optional and default-disabled (option WITH_TESTS)..
markey committed R181:f4a0e027b358: Make gmock an optional dependency. Tests are built if gmock is found. (authored by markey). Make gmock an optional dependency. Tests are built if gmock is found. Nope it's not redundant because there is no way to make BUILD_TESTING default to OFF, or is there? You see, that's the whole point, default-disabling the tests. markey committed R181:d5793a5dabf4: Remove .reviewboardrc - KDE now uses Phabricator. (authored by markey). Remove .reviewboardrc - KDE now uses Phabricator. markey committed R181:9d0e6bdc5695: Make building unit tests optional and default-disabled (option WITH_TESTS). (authored by markey). Make building unit tests optional and default-disabled (option WITH_TESTS). markey committed R181:8a6586da12f9: Fixed fadebars (authored by malteveerman). markey committed R181:dd0049f7db07: Some analyzer applet tweaks (authored by malteveerman). markey committed R181:9a022879122f: Fixed crash at shutdown (authored by malteveerman). markey committed R181:bd0fa5c0b6f0: Improvements to CurrentTrack applet (authored by malteveerman). markey committed R181:838e52b555a1: More interface stuttering work (authored by malteveerman). markey committed R181:adcbef160f03: Fix missing include for std::thread. (authored by markey). Fix missing include for std::thread. markey committed R181:02c610b65185: Reduce interface stuttering (authored by malteveerman). markey committed R181:5f138b0fcc14: Logger overhaul (authored by malteveerman). markey committed R181:5176c93e41e4: Fixed wrong slot signatures in BrowserMessageArea (authored by malteveerman). markey committed R181:ef7ec2c70f60: Small MySQL libraries fix for tests. (authored by malteveerman). Small MySQL libraries fix for tests. markey committed R181:16d825772150: Some small changes and fixes (authored by malteveerman). markey committed R181:7a63540fc23a: Reactivate wikipedia applet (authored by malteveerman). markey closed D11349: Reactivate wikipedia applet. markey requested changes to D11349: Reactivate wikipedia applet. markey committed R181:241583115f47: Ask mysql for libs to link to (authored by heikobecker). markey committed R181:d527cce9963c: Fixed a crash in magnatune service (authored by malteveerman). markey closed D11299: Fixed a crash in magnatune service. markey accepted D11299: Fixed a crash in magnatune service. markey committed R181:12d7ecbfe6e8: Port NetworkAccessManager to new signal/slot syntax (authored by malteveerman). markey closed D11171: Port NetworkAccessManager to new signal/slot syntax. markey accepted D11171: Port NetworkAccessManager to new signal/slot syntax. markey committed R181:16d4997c3792: Ported playdar collection away from qjson (authored by malteveerman). markey closed D11192: Ported playdar collection away from qjson. markey accepted D11192: Ported playdar collection away from qjson. markey requested changes to D11171: Port NetworkAccessManager to new signal/slot syntax. This does not build for me (GCC 7.2.0). markey committed R181:459ed3a342f0: Use Kirigami's spacing and icon sizes and remove own implementation (authored by malteveerman). markey closed D11150: Use Kirigami's spacing and icon sizes and remove own implementation. markey accepted D11150: Use Kirigami's spacing and icon sizes and remove own implementation. Kirigami2 seems really nifty. Nice choice. markey added a comment to T8078: Port away from libmysqld (embedded server). Just a note: Back in the day Amarok was actually using SQLite, but there were major performance issues for people with giant collections. E.g. I was just talking to a user on IRC with a 44k tracks collection. markey committed R181:c9257ade2df7: Fix some deprecation warnings (authored by malteveerman). markey closed D11033: Fix some deprecation warnings. markey accepted D11033: Fix some deprecation warnings. markey committed R181:d65ce101313e: Make Webkit optional (authored by heikobecker). markey closed D10923: Make Webkit optional. markey accepted D10923: Make Webkit optional. markey committed R181:cf491101e892: Disable Discogs and Google cover search temporarily (authored by heikobecker). markey closed D10924: Disable Discogs and Google cover search temporarily. markey accepted D10924: Disable Discogs and Google cover search temporarily. markey committed R181:df9fc58c8ac5: Port tests to Qt5/KF5 (authored by malteveerman). markey closed D10978: Port tests to Qt5/KF5. markey accepted D10978: Port tests to Qt5/KF5. markey committed R181:ea60d1523218: Fixed a crash in analyzer applet when sample rate reported by engine controller… (authored by malteveerman). markey closed D10971: Fixed a crash in analyzer applet when sample rate reported by engine controller is zero. markey accepted D10971: Fixed a crash in analyzer applet when sample rate reported by engine controller is zero. markey committed R181:865b63279274: Ported importers to Qt5/KF5 (authored by malteveerman). markey closed D10900: Ported importers to Qt5/KF5. markey accepted D10900: Ported importers to Qt5/KF5. 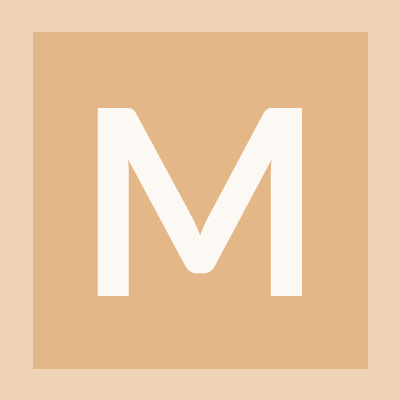 markey added a comment to D10923: Make Webkit optional. Is this patch meant for master? Because the branch is "webkit-optional". markey committed R181:0d7ae231eea9: Ported some services to Qt5/KF5 (authored by malteveerman). markey closed D10831: Ported some services to Qt5/KF5. markey accepted D10831: Ported some services to Qt5/KF5. markey committed R181:4b9a4e88c9f6: Fix for Amarok::saveLocation() not setting separator before subdirectory. (authored by malteveerman). Fix for Amarok::saveLocation() not setting separator before subdirectory. markey closed D10819: Fix for Amarok::saveLocation() not setting separator before subdirectory..
markey added a comment to D10819: Fix for Amarok::saveLocation() not setting separator before subdirectory..
markey accepted D10819: Fix for Amarok::saveLocation() not setting separator before subdirectory..
markey committed R181:3a25034e5006: New context area (authored by malteveerman). markey closed D10708: New context area. markey accepted D10708: New context area. markey committed R181:d78f666e58de: Port core application away from kdelibs4 (authored by malteveerman). markey closed D10526: Port core application away from kdelibs4. markey accepted D10526: Port core application away from kdelibs4. Looks good to me. Builds and works fine too. markey added a comment to D10526: Port core application away from kdelibs4. markey committed R181:cd7b5aa2e9bc: Disable GPodder service for now as it can crash Amarok on startup. (authored by markey). Disable GPodder service for now as it can crash Amarok on startup. markey committed R181:4b19048bab54: streamlined plugin system (authored by malteveerman). markey closed D8229: streamlined plugin system. markey accepted D8229: streamlined plugin system. markey committed R181:dcb859b8df66: some crash and hang fixes (authored by malteveerman). markey closed D8213: some crash and hang fixes. markey accepted D8213: some crash and hang fixes. Nice fixes. Builds fine too.